On Saturday, Sept. 26, 2015, Senator Toni Boucher will be hosting a fundraiser for WASA at Talbots (165 Main Street, Westport, CT), from 10 am to noon. 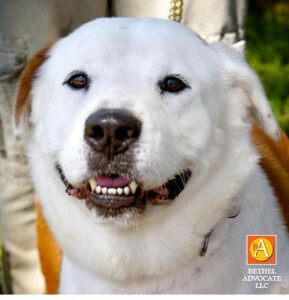 Above photo: “BOWSER” St. Bernard & Labrador Retriever Mix • Young • Male • Large. Click here for more info. Pet Lovers Unite! Help Make a Difference! Above photo:”HERSHEY” and “NESTLE,” Yorkshire Terrier Yorkie & Norwich Terrier Mix • Adult • Male • Small. Click here for more info. *Please join us and help make a difference. 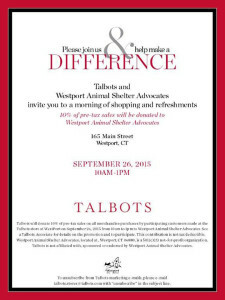 Talbots and Westport Animal Shelter Advocates invite you to morning of shopping and refreshments. 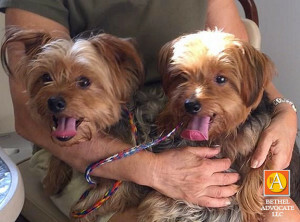 10% of pre-tax sales will be donated to Westport Animal Shelter Advocates. WHERE: 165 Main Street, Westport, CT. 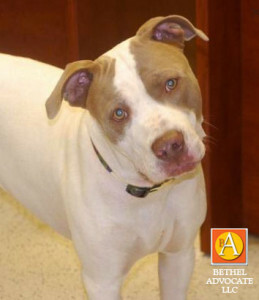 Above photo: “JOEY,” American Staffordshire Terrier & Pointer Mix • Young • Male • Large. Click here for more info. *See a Talbots Associate for details on the promotion and to participate. This contribution is not tax deductable. Westport Animal Shelter Advocates is located in Westport, CT 06880, is a 501(c)(3) not-for-profit organization. 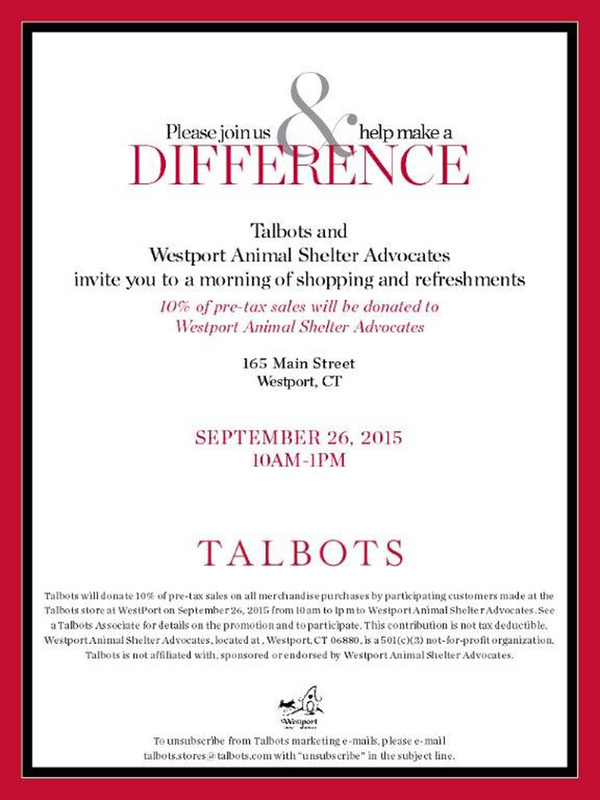 Talbots is not affiliated with, sponsored, or endorsed by Westport Animal Shelter Advocates. I just want to tell you that I am just newbie to weblog and truly enjoyed this page. Most likely I’m going to bookmark your blog post . You absolutely have fabulous well written articles. With thanks for sharing with us your blog. thus I only use world wide web for that purpose, and obtain the hottest information. What i do not realize is in truth how you’re not actually much more neatly-favored than you might be right now. angles. Its like women and men are not involved except it’s something to do with Woman gaga! portion of other folks will omit your excellent writing because of this problem. I enjoy you because of your own efforts on this blog. Gloria loves getting into internet research and it’s obvious why. All of us learn all of the lively method you render helpful guidance through this web blog and as well as welcome response from some others on this content plus my child is actually starting to learn a great deal. Take advantage of the rest of the year. You have been carrying out a pretty cool job. If some one desires expert view regarding blogging afterward i suggest him/her to go to see this blog, Keep up the nice work. Great awesome issues here. I am very satisfied to peer your article. Thanks a lot and i’m looking forward to contact you. Will you kindly drop me a e-mail? Thanks a lot for giving everyone remarkably special chance to check tips from this site. It is usually very cool plus stuffed with a lot of fun for me and my office friends to visit the blog particularly thrice weekly to study the fresh items you will have. And lastly, I’m usually satisfied with all the extraordinary creative ideas you serve. Selected 2 points on this page are basically the very best I’ve had. me know if this is happening to them as well? This might be a problem with my web browser because I’ve had this happen previously. I simply wanted to post a quick word so as to appreciate you for all of the remarkable tips you are sharing at this site. My rather long internet look up has now been paid with professional suggestions to share with my partners. I ‘d repeat that we site visitors actually are extremely lucky to be in a great place with very many brilliant individuals with beneficial plans. I feel quite lucky to have seen your web pages and look forward to so many more awesome minutes reading here. Thanks a lot once again for all the details. I was just searching for this info for a while. After six hours of continuous Googleing, finally I got it in your website. I wonder what is the lack of Google strategy that do not rank this kind of informative websites in top of the list. Generally the top websites are full of garbage. Wow, wonderful blog format! How long have you ever been running a blog for? you made running a blog glance easy. The overall glance of your web site is great, let alone the content material! I as well as my guys appeared to be viewing the great tricks from your web page while quickly I got an awful feeling I never expressed respect to the blog owner for those secrets. Most of the people became absolutely very interested to learn them and now have simply been making the most of those things. We appreciate you getting considerably accommodating as well as for considering these kinds of notable subjects most people are really eager to learn about. Our own sincere apologies for not saying thanks to you earlier. I would like to express some appreciation to the writer for rescuing me from this circumstance. Because of exploring throughout the online world and coming across advice which were not pleasant, I figured my life was done. Living without the answers to the difficulties you have solved as a result of your entire post is a critical case, and the kind that could have in a wrong way affected my entire career if I hadn’t encountered your website. Your good training and kindness in playing with all the details was very helpful. I’m not sure what I would have done if I hadn’t encountered such a solution like this. I can now relish my future. Thank you so much for this specialized and amazing guide. I will not think twice to endorse the sites to any individual who requires recommendations on this matter. I’m gone to inform my little brother, that he should also go to see this website on regular basis to get updated from most up-to-date news. I have to show some thanks to this writer for bailing me out of this type of crisis. As a result of surfing through the the web and seeing thoughts that were not helpful, I believed my life was over. Existing without the approaches to the problems you have sorted out through the site is a serious case, as well as ones that would have in a wrong way affected my entire career if I had not noticed your web site. Your main skills and kindness in taking care of every item was useful. I am not sure what I would’ve done if I hadn’t come across such a solution like this. I can at this point look ahead to my future. Thanks for your time very much for this reliable and effective help. I will not hesitate to endorse your blog to any person who should receive support on this subject. A lot of thanks for all of the effort on this web page. 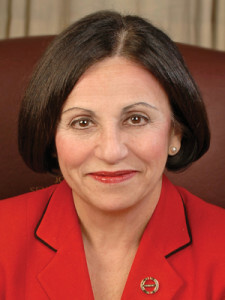 Gloria takes pleasure in managing internet research and it’s really easy to see why. We hear all relating to the lively form you provide very important tips and hints on this website and as well strongly encourage response from visitors on this concept then our own girl is actually discovering a lot of things. Enjoy the rest of the year. You’re conducting a brilliant job. I would like to thnkx for the efforts you have put in writing this web site. I am hoping the same high-grade web site post from you in the upcoming also. In fact your creative writing skills has inspired me to get my own blog now. Actually the blogging is spreading its wings fast. Your write up is a great example of it. obviously like your web-site but you need to check the spelling on quite a few of your posts. Several of them are rife with spelling issues and I to find it very troublesome to inform the truth on the other hand I¡¦ll certainly come back again. It is the best time to make some plans for the future and it is time to be happy. I’ve read this post and if I could I want to suggest you few interesting things or advice. Maybe you could write next articles referring to this article. I desire to read even more things about it! Helpful information. Fortunate me I discovered your website by accident, and I am stunned why this coincidence didn’t took place earlier! I bookmarked it. Thank you for sharing superb informations. Your website is very cool. I’m impressed by the details that you¡¦ve on this blog. It reveals how nicely you understand this subject. Bookmarked this website page, will come back for more articles. You, my friend, ROCK! I found just the info I already searched all over the place and just could not come across. What an ideal web site. Wow, awesome blog structure! How long have you ever been blogging for? you make blogging look easy. The full glance of your web site is fantastic, as neatly as the content material! I would like to thnkx for the efforts you’ve put in writing this site. I am hoping the same high-grade web site post from you in the upcoming also. In fact your creative writing abilities has encouraged me to get my own web site now. Actually the blogging is spreading its wings fast. Your write up is a great example of it. Hey there, just turned conscious of your blog site through Yahoo and bing, and have found that it is very good. I’ll be grateful for in the event you continue on these. Great tremendous things here. I¡¦m very satisfied to peer your article. Thanks so much and i’m taking a look ahead to contact you. Will you kindly drop me a mail? Thank you a lot for providing individuals with remarkably brilliant chance to check tips from this web site. It’s usually so nice and as well , stuffed with a lot of fun for me personally and my office acquaintances to visit the blog particularly three times in a week to find out the new items you have got. And of course, I am also usually fulfilled with all the surprising tips and hints you serve. Some 1 areas in this posting are basically the best we have all had. What i don’t understood is actually how you’re now not really much more well-preferred than you may be right now. You are so intelligent. You know therefore significantly in the case of this subject, made me for my part believe it from numerous varied angles. Its like men and women are not fascinated until it is something to do with Lady gaga! Your own stuffs excellent. At all times take care of it up! Thank you for any other great post. The place else may just anybody get that type of information in such a perfect approach of writing? I have a presentation next week, and I am on the look for such information. I would like to thank you for the efforts you’ve put in writing this blog. I’m hoping the same high-grade web site post from you in the upcoming also. In fact your creative writing abilities has encouraged me to get my own blog now. Really the blogging is spreading its wings fast. Your write up is a good example of it. hey there and thank you for your information – I’ve definitely picked up something new from right here. I did however expertise some technical points using this website, since I experienced to reload the site lots of times previous to I could get it to load correctly. I had been wondering if your web hosting is OK? Not that I’m complaining, but sluggish loading instances times will sometimes affect your placement in google and can damage your high-quality score if ads and marketing with Adwords. Anyway I am adding this RSS to my e-mail and could look out for much more of your respective interesting content. Ensure that you update this again very soon.. I have been exploring for a little for any high-quality articles or weblog posts on this kind of space . Exploring in Yahoo I finally stumbled upon this web site. Reading this information So i¡¦m happy to show that I have a very just right uncanny feeling I found out just what I needed. I such a lot certainly will make sure to do not overlook this website and provides it a glance on a continuing basis. obviously like your website however you have to test the spelling on quite a few of your posts. Several of them are rife with spelling problems and I find it very bothersome to inform the truth however I will certainly come back again. I intended to create you this very little note to finally thank you so much once again for these superb views you have shared on this website. This is pretty open-handed with people like you to deliver unhampered just what a number of us could possibly have offered for sale as an e-book in order to make some profit for themselves, even more so since you could have tried it if you decided. The inspiring ideas additionally worked as a easy way to realize that the rest have the identical eagerness the same as my personal own to see very much more when it comes to this condition. I am certain there are thousands of more pleasurable occasions in the future for folks who looked at your site. Thanks for every other informative blog. The place else may just I get that type of information written in such a perfect method? I have a undertaking that I’m just now working on, and I’ve been on the glance out for such information. Simply wish to say your article is as astonishing. The clearness in your post is just cool and i could assume you’re an expert on this subject. Well with your permission let me to grab your RSS feed to keep up to date with forthcoming post. Thanks a million and please carry on the gratifying work. Hello, Neat post. There is an issue together with your web site in internet explorer, could check this¡K IE nonetheless is the marketplace chief and a huge component of other people will pass over your fantastic writing due to this problem. hello!,I love your writing very a lot! percentage we keep in touch extra approximately your article on AOL? I require an expert on this area to unravel my problem. Maybe that’s you! Having a look ahead to see you. I have been exploring for a little bit for any high quality articles or weblog posts in this sort of house . Exploring in Yahoo I ultimately stumbled upon this web site. Studying this info So i¡¦m satisfied to show that I’ve a very good uncanny feeling I discovered exactly what I needed. I such a lot certainly will make sure to do not put out of your mind this site and provides it a glance regularly. My wife and i ended up being comfortable that Michael managed to finish up his homework because of the precious recommendations he made when using the site. It’s not at all simplistic to just possibly be giving out key points which often most people may have been trying to sell. And now we remember we need the blog owner to thank because of that. The entire illustrations you have made, the simple site menu, the relationships your site help promote – it is many awesome, and it’s really leading our son and the family reason why the subject matter is exciting, and that is extremely important. Many thanks for the whole lot! hello there and thank you for your info – I have certainly picked up anything new from right here. I did however expertise some technical issues using this site, since I experienced to reload the site a lot of times previous to I could get it to load properly. I had been wondering if your hosting is OK? Not that I’m complaining, but sluggish loading instances times will sometimes affect your placement in google and could damage your high quality score if ads and marketing with Adwords. Well I’m adding this RSS to my email and could look out for much more of your respective fascinating content. Ensure that you update this again soon.. It is in reality a nice and useful piece of info. I am satisfied that you just shared this helpful information with us. Please keep us up to date like this. Thank you for sharing. Hello there, I discovered your site by the use of Google whilst looking for a related topic, your web site came up, it seems good. I’ve bookmarked it in my google bookmarks. Thanks for every other informative blog. The place else may just I am getting that kind of information written in such an ideal approach? I have a project that I’m simply now operating on, and I have been on the look out for such information. I actually wanted to write down a brief note so as to thank you for these awesome steps you are writing at this website. My time intensive internet look up has at the end been recognized with professional content to exchange with my family members. I would believe that we site visitors are undoubtedly endowed to exist in a decent network with very many special individuals with valuable solutions. I feel very lucky to have come across your weblog and look forward to really more amazing times reading here. Thanks a lot once more for all the details. Good day very cool blog!! Man .. Beautiful .. Superb .. I’ll bookmark your website and take the feeds also¡KI’m satisfied to search out numerous useful information right here in the submit, we’d like develop more strategies in this regard, thank you for sharing. . . . . .
What i do not realize is in truth how you’re no longer really a lot more well-liked than you may be right now. You are so intelligent. You recognize thus considerably when it comes to this subject, made me individually believe it from numerous numerous angles. Its like men and women don’t seem to be interested except it is one thing to accomplish with Lady gaga! Your personal stuffs great. Always maintain it up! Great post. I was checking constantly this blog and I’m impressed! Very useful information particularly the last part 🙂 I care for such information a lot. I was seeking this certain information for a very long time. Thank you and best of luck.